What inspired you to start collecting? We put the question to Downies Numismatist Steve Kirby. Britain's First 10 Pound Plastic Banknote on Sale at Downies! The Bank of England's 2017 polymer £10 note is now on sale at Downies! Join Downies at the Bendigo Coin Fair! Join us at the 2018 Bendigo Coin & Collectables Club Annual Fair! Super Selection of Australian Banknotes available now at Downies’ Melbourne Store! We currently have a great selection of Australian banknotes, including scarce predecimal issues! Don’t miss this year's Melbourne ANDA Coin Expo! ANDA's 2018 Melbourne Expo is approaching! 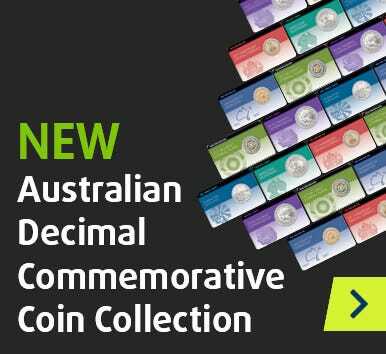 Drop in for a range of coins, banknotes & more. In 1797, the colony of NSW desperately needed hard currency. These coins saved the day.